Can I freeze raw eggs? Freezing is an option if you have more eggs on hand then you can use. Remove eggs from their shells, beat until just blended, and place in a sealed container. Eggs can be frozen for up to one year. To use frozen eggs, properly thaw them in the refrigerator or under running cold water. Never thaw eggs on the counter as this may promote the growth of harmful bacteria! Once thawed cook eggs thoroughly. 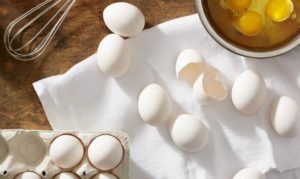 Visit this page on incredibleegg.org for more information about freezing eggs.